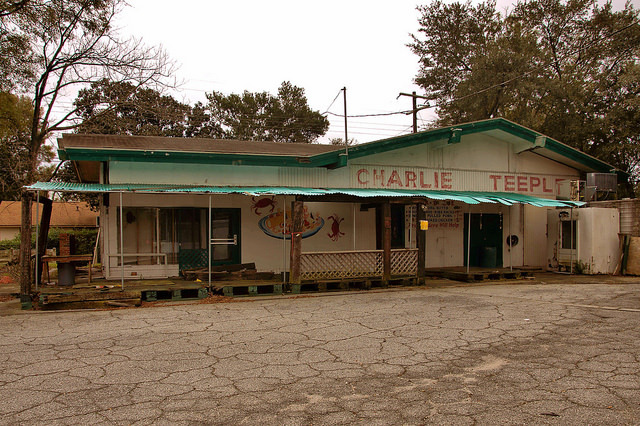 From 1975-2004, Charlie Teeple’s in Thunderbolt was one of Savannah’s favorite seafood restaurants. 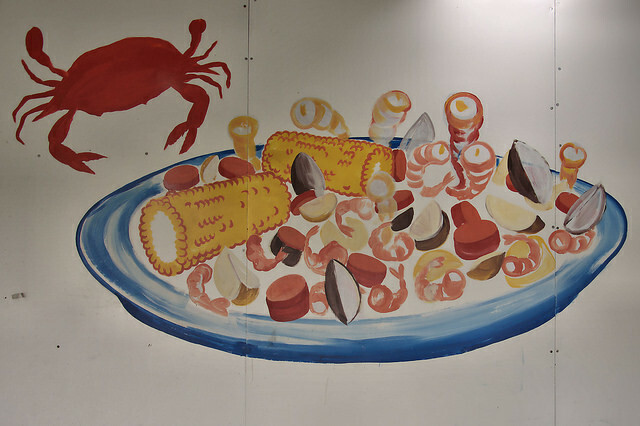 Steamed crabs and oysters were among their most popular offerings. This building wasn’t the restaurant, which was located on the nearby Wilmington River, but rather Charlie’s retail store, where fresh boiled crabs remained in demand. I’m not sure when it closed, but it’s been abandoned for quite some time. Did the owner sell out? Why are they not there any longer ? both of the owners have passed away. I went to school with Charlie 1st through 6th grade at Thunderbolt School. Jean, we were also in the same class. Charles was my cousin. I often went to the restaurant to eat the steamed oysters when I was in Savannah on business back in the 80’s. Is it still there? The building on Victory Drive is being remodeled as of this month. Don’t know what is going in there but they are doing a lot of work. Will stop in and see if I can find out what is going on. Please update if you do. I saw them with heavy equipment last week. © Brian Brown and Vanishing Media, 2011-2019. All Rights Reserved. Unauthorized use of this material without express and written permission from this website’s author/owner is strictly prohibited. Excerpts and links may by used, provided that full and clear credit is given with appropriate and specific direction to the original content. For my purposes this now applies to Pinterest, Facebook group pages which collect photos without attribution, Tumblr, and all other photo harvesting platforms. Unauthorized use of any material on this site is a violation of copyright. Please report broken links and violations of copyright.